Big news today for sports apparel nerds like myself. The NBA announced in 2015 that Nike would be taking over from Adidas as their official jersey manufacturer for the league. This was a happy announcement in as much as I am a longtime Nike die-hard, and happy that Nike gets to take over merchandise for the league. Have you ever worn a Dri-FIT shirt? They’re marvelous. The announcement wasn’t without some controversy, as the league announced that the arrival of the Nike jerseys would also mark the arrival of ads in the upper left-hand corner of the jerseys themselves. A lot of people we opposed to the idea – don’t we have enough advertising as is? – but the real test came from what the ads would look like on a live jersey. Today we found out thanks to the first pictures supplied by Darren Rovell, as well as the announcement of the first three team-brand pairings. 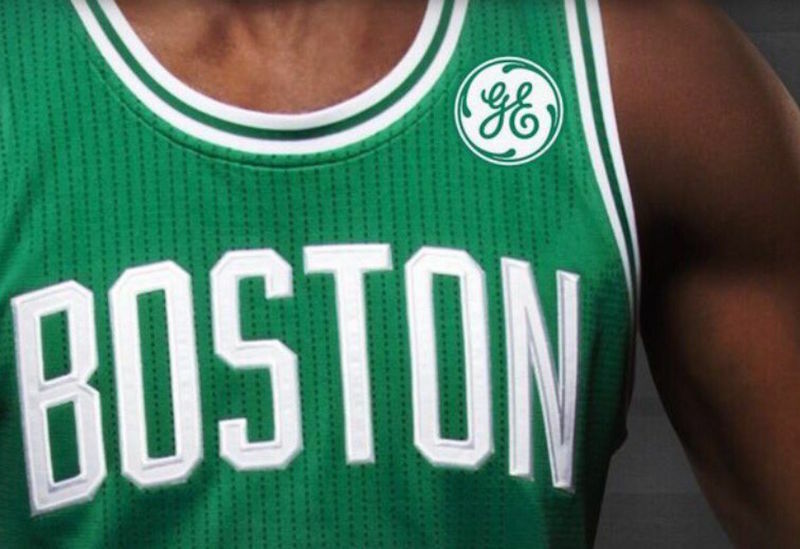 The Celtics, pictured above, will be donning the logo of GE – a move almost certainly spearheaded by Jack Donaghy or Devon Banks to undercut the other. The logo looks out of place in as much as this is a brand new concept, but I think it’s cool. Different, yes. But the NBA wasn’t going to really pass up millions in endorsement deals that could be funneled back into the league, so why fight it? The full jersey makes the ad look more normal, and far less intrusive on the jersey. 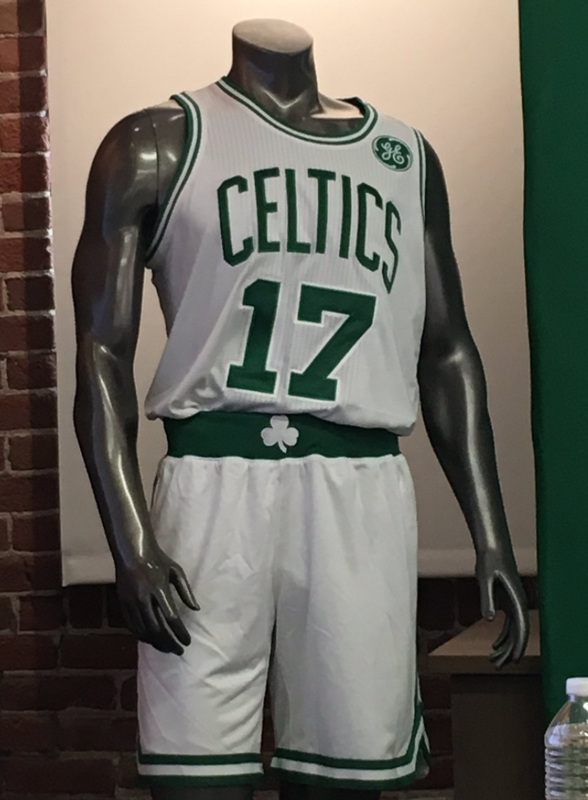 There’s a more than decent chance I’ll be picking up a fresh Celtics jersey for Isaiah Thomas (or DeMarcus Cousins?) next season, logo and all. 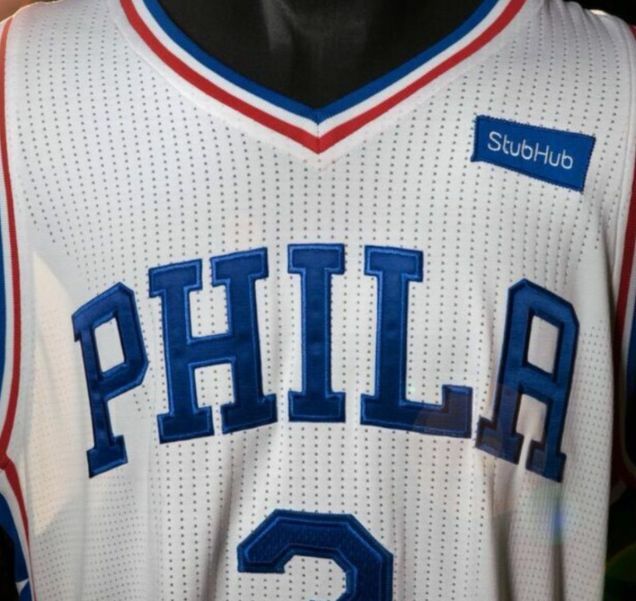 The Philadelphia 76ers announced their partnership with StubHub long before anyone else in the league, but their jersey was included in today’s reports as well. The nature of this logo – small, square, minimalist – looks far more normal and at home on the Sixers uniform. Plus there’s something appropriate about the Sixers sponsor specializing in acquiring assets to give to other people. No wonder this deal was made before the Hinke firing. But this doesn’t even approach the greatness that is the Sacremento Kings uniform. Blue. Diamond. Almonds. By God, if this isn’t the greatest thing in the world. Let’s be clear here, GE is one of the most famous and valuable companies in American history and paired up with one of the most famous and valuable franchises in basketball. Very fitting. The Sixers matched up with the industry leader in ticket sales on the secondary market, a company that lives on sporting events. This makes sense. 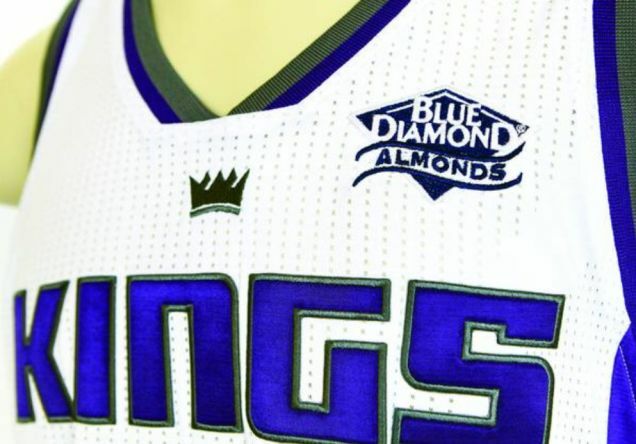 Blue Diamond Almonds has beaten companies like Coca-Cola, Amazon, Google, Facebook, Apple, McDonalds, Pepsi, that one pistachio company that had the Stephen Colbert commercials, Oracle, Enron, and Oreo to an NBA jersey. This is an amazing time to be alive. Bring on the full slate of NBA jersey ads.